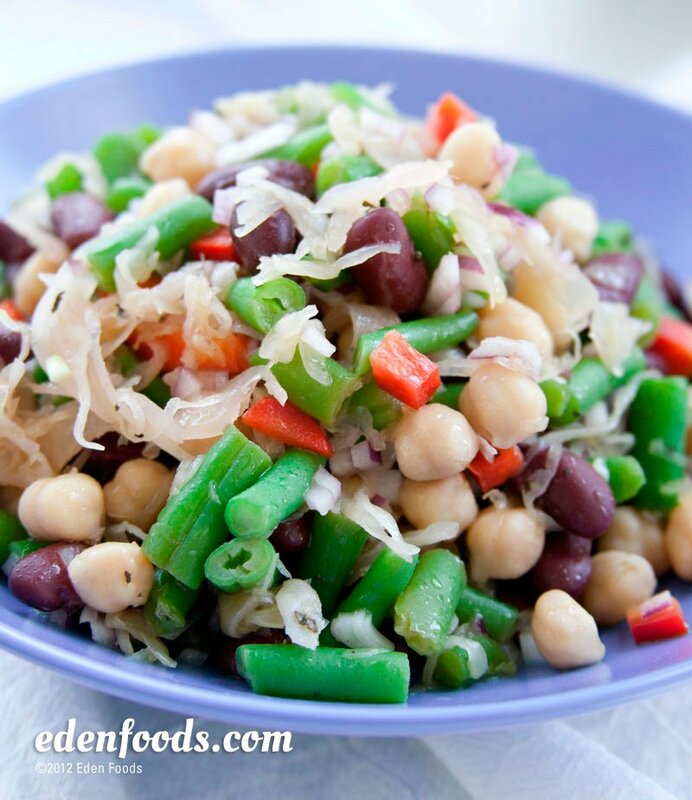 Place beans, sauerkraut, red onion and red pepper in a mixing bowl. Whisk together the vinaigrette ingredients and pour over the salad. Toss to mix. Refrigerate for 1 hour before serving. Place in a serving bowl.